Social media marketing is an important platform that many small and larger entrepreneurs bank upon to get recognition. It is undoubtedly a dynamic field and it is just more than posting links these days. The target audience and visitor behavior can be learnt from this platform. This in turn will enable you to improve upon your services and products aside from making changes to your approach if required. 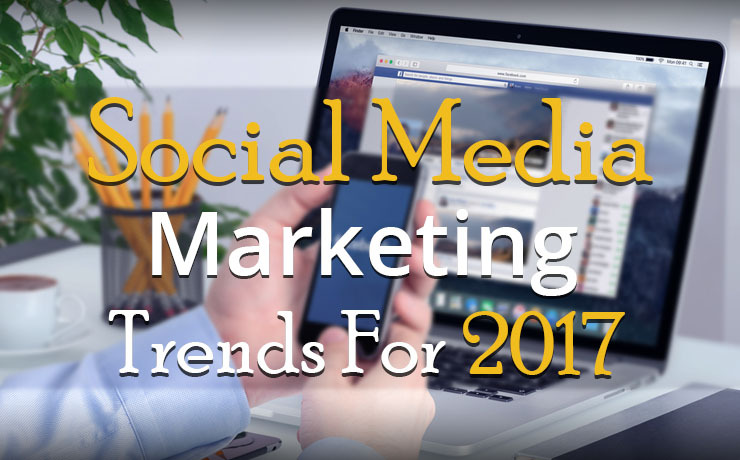 Let us find out what 2017 has in store for the social media marketing professionals. Given below are few features that are expected to gain prominence and these are the features that are here to stay at least for some time now. It has been observed that most of the influencers are owners of small to medium sized businesses. They have several aspects like preferences and interests in common. These influencers do not target a broad spectrum of audiences but limit their reach to a small niche area. Since this group of social media marketers already has a fairly good following, working in tandem with them proves to be beneficial. Since influencers are experts in their own area, marketing campaigns surely attract a lot of people and through word of mouth and online discussions the message is spread across. Common marketing campaigns of influencers include product demonstration. This eventually leads to comparison of different products of the influencers on social media platforms, which attract prospective leads. Interactive content is a stronghold of social media marketing. Some of the common examples where interactive content has played a major role include tools that include mapping tool, health calculator, infographic, and data visualization tool, and so on. In order to enhance the experience of interactive content, you can add hash tags and sharing buttons on the page that has the interactive content. Using more of these interactive content tools also means that your website is attracting more web traffic, which should allow you to know the footfall of your website. The social media experts are of the opinion that the chances of visual content being shared are way more than textual content. Examples of visual content include viral videos, small video clips, GIF clips, livestreams, and few behind the stage moments that are recorded and marketed on social media platforms. Also, since more and more people are sitting less at their desktops and resorting to hand held devices, you can be sure that sooner or later these viral videos are sure to be clicked or viewed on these platforms. As far as live-streaming is concerned, it is being regarded as one of the top trends of 2017. Since it is a two way communication medium, the target audience for this tool is more than ever. If you add this feature in connecting with your prospective clients, you are sure to not only retaining more number of clients but you can be rest assured that you will get new clients too. • Making use of real-time tools that are interactive offers greater insight into audience behavior on social media platforms. • In the event the in-house social media marketing team is small in size, do not lament, opt for making use of the 3Ts in Economics, namely, Talent, Technology, and Tolerance. • Following the above rules will eventually increase the Return on Investment for your marketing campaigns.